"By Foreign Hands Thy Dying Eyes Were Closed"
After a fire destroyed Raleigh’s State House in June of 1831, plans were made to construct a new Capitol out of mostly granite and other stone. The lack of skilled stone masons in the area sent architect David Paton to the northern states to recruit stone workers from the pool of qualified men who had left Scotland, Ireland, and England to find work in America. After the construction of the state building in 1840, many of the workers decided to remain in the Raleigh area. The Stonecutter’s Plot in Raleigh’s City Cemetery is where the remains of a few of these workers and their wives are buried, some who may have not lived to see completion of the Capitol that they helped build. 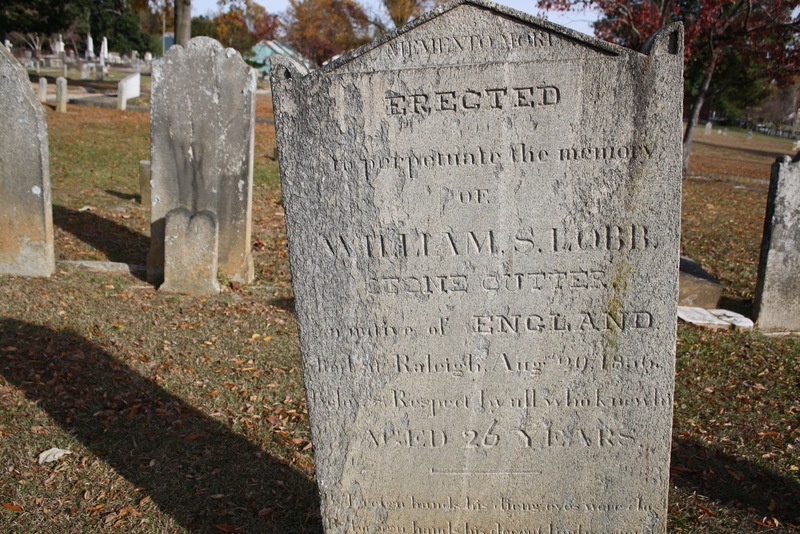 This is the neoclassical headstone of William Lobb. The shape of the tympanum would be a pointed arch with caps. 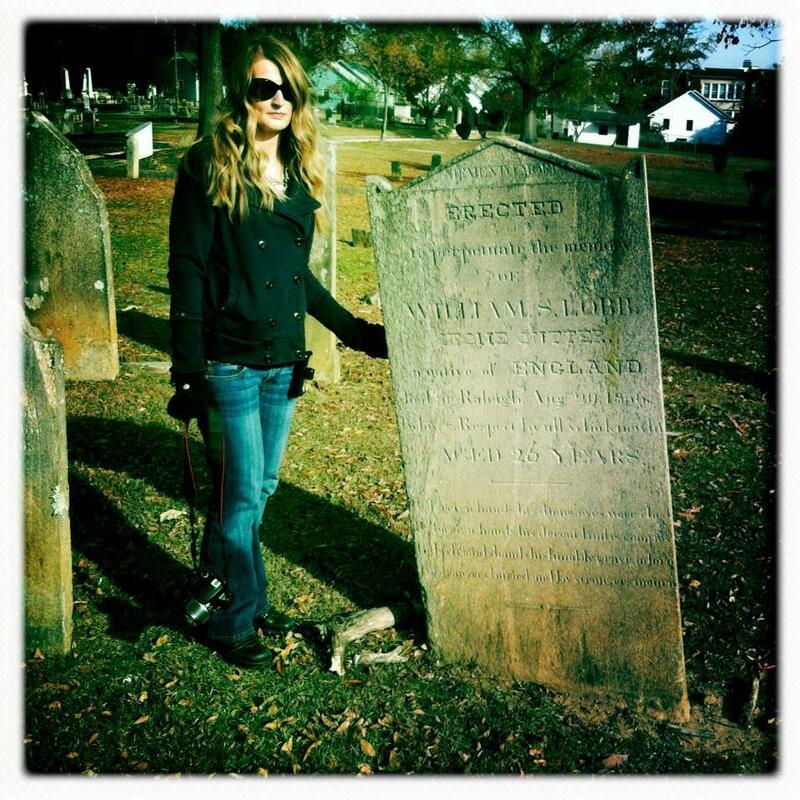 William was originally from England and he died in Raleigh in 1836 at age 36. The tombstone looks like it reads his age as “26” but all of the records I’m finding list his age at death as 36. A publication by the NC State Historic Preservation warns that transcriptions of headstones in a graveyard as old as City could be incorrect due to the age of the headstones and the wear and tear they’ve endured over the years. If you look closely at William’s tombstone, you can see where it was once cracked through the middle and has been repaired. This is actually a hauntingly beautiful poem which contains a number of lines I would consider for my own tombstone. I can find no record of any family for William Lobb, so I can’t speak to who might have selected this verse for his grave marker. Maybe the selection of this verse indicates that he had no close family to mourn or bury him, only strangers. Great post. Such a wonderful stone. I am glad that it was repaired after it had cracked, thank you for sharing. I sometimes wonder if the stonemason chooses from a pool of quotations to put on some headstones that were erected by an association or community rather than family. I didn't think about that, but I'm sure that's a possibility. Next Next post: A Cautionary Tale About The Effects of Whiskey on a "Good and Popular Citizen"